MobileMed provides high quality, culturally competent, comprehensive primary healthcare and specialty care to our patients. These services are provided at no or low-cost to our patients. MobileMed provides all of its patients with a full array of primary care services including physical exams, screenings, labs, vaccinations, medications, integrated behavioral health (including counseling), arrangements for diagnostic testing, and referrals to specialty care, if necessary. For the full list of clinic locations, including address, hours, languages, services, and transit options, please visit the “Clinic Locations and Services” page. regular screenings for complications; a coordinated health care plan; arrangements for no/low-cost medications; support management and oversight; patient education and coaching geared toward self-reliance; access to specialty care, if necessary. Case management focuses on empowerment, emphasizing lifestyle changes such as nutrition and weight loss, smoking cessation, and exercise. Through our partner, Aspire Counseling, MobileMed provides Integrated Behavioral Health services, including counseling and motivational interviewing. Behavioral Health services are available at our Rockville, UpCounty, Fairland, and Long Branch sites, following a primary care referral. Our specialty services include weekly Endocrine and Heart clinics, a weekly women’s clinic with primary gynecological care, and weekly podiatry and optometry for diabetic patients. For uninsured patients that need specialty care that we do not provide, we refer those patients to one of our community partners through Project Access or Catholic Charities. Our hospital partners, Adventist HealthCare (Shady Grove Adventist and Washington Adventist) and Suburban Hospital, along with their physician partners, donate substantial diagnostic laboratory, radiology, and cardiac testing for MobileMed’s uninsured patients. For services that we are unable to provide ourselves, we are pleased to provide referrals to specialists who also provide reduced-fee services to low-income patients. This includes dentistry and obstetric services; applications may be necessary, but our staff and volunteers are happy to help. MobileMed has a certified Maryland Health Connection Navigator on staff to enroll patients in Medicaid and in private insurance plans through Maryland Health Connection. Insurance Enrollment is by appointment only at the Rockville, Fairland/East Montgomery, and UpCounty/Germantown clinics. Robust collaborative relationships with a multi-cultural array of community-based social service agencies both enhance our outreach and enable us to connect patients to complementary non-medical resources. Promoting self-reliance in patients has always been a part of the full patient experience at MobileMed. Through preventative screening, physical evaluation, education and case management, our providers in the clinics work to empower patients to take control of their health. Patient education is particularly essential for those patients with chronic conditions. In addition, MobileMed regularly attends community-based fairs and events throughout Montgomery County. 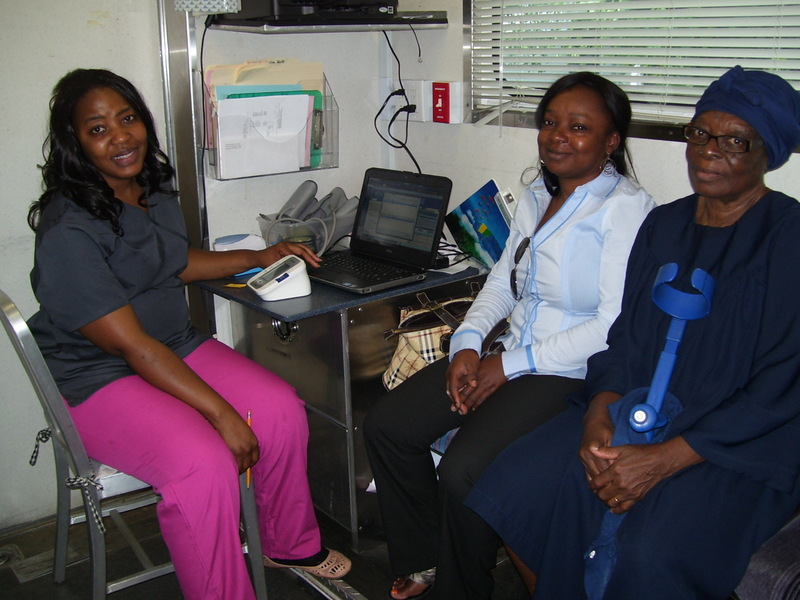 At those events, MobileMed provides health screenings and patient education. The ultimate goal being to motivate individuals to connect to regular primary and preventive care, thereby alleviating inappropriate use of hospital ERs that result from deferred diagnosis and treatment. Patients are asked to contribute toward the cost of their medical visit. For any low-income resident, the co-pay is nominal. This co-pay includes physical exams, labs, screenings, etc. In 50 years of serving the low-income adult residents of Montgomery County, we have never turned away a patient for inability to pay. Click here to see MobileMed’s Sliding Fee Scale.